Getting locked out of a vehicle can be very frustrating. If this happens to you, can count on the Mississauga Towing to help you with your roadside needs. We have a team of professional automobile locksmiths ready to help you get back in your car safely. We guarantee to help you get back to your vehicle quickly and efficiently. We use specialized equipment to gain access without any damage to your car. It can be a pain to be locked out and unable to get in your car when you are already late for an appointment. When this situation happens, it is best to get the professional assistance of someone who truly specializes in a car lockout service. Mississauga Tow Truck is the name you can trust when find yourself locked out of your vehicle. 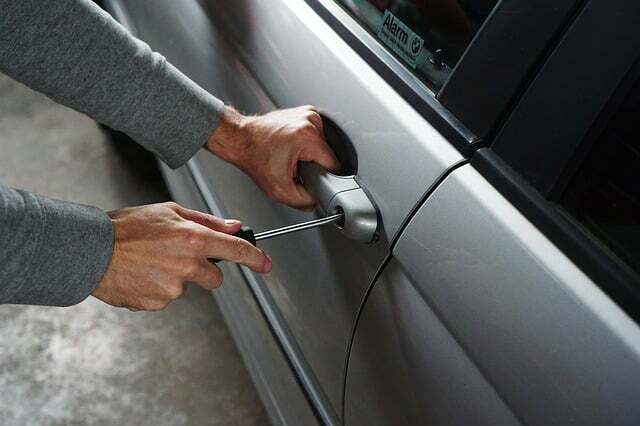 While it may be tempting to try to open your vehicle with a wire hanger or some other makeshift device, our fully equipped professional locksmiths can help you get back your vehicle in a jiffy. As a dependable towing service in Mississauga, we offer a wide range of services including lockout services. Our professionally trained locksmiths have the right equipment that allows you to gain access back into your vehicle effectively. We know how to do it right without damaging your car door or window.We also operate our business twenty four hours a day, seven days a week. That means you can count on us to be there even in the middle of the night. Any towing emergency or roadside situation you may find yourself in we’ve got you covered. This is our promise to all our customers. We make sure you get to back on the road safely feeling highly satisfied with the service we provided. Mississauga Tow Truck offer professional towing and roadside assistance including car lock out services across Greater Toronto. If you are within our service area from Mississauga, Etobicoke, North York, Greater Toronto Area, Maple, Vaughan, Oakville, Toronto, Scarborough, Hamilton, and Thornhill, then please do not hesitate to call us. We guarantee you that once you contact us and inform us about your location and concern, we will arrive at your location immediately. We do not make our clients wait, we arrive promptly and do our jobs efficiently so you can get back to your day. Our Mississauga car lockout specialists will get that car door opened in the safest and most effective way possible. We use special tools and perform safe and sophisticated techniques to get you to enter your vehicle. No damages to your car, no broken window, no problem with getting in. These are our goals whenever we work on a car lockout operation. Although you may consider yourself as a diy, we highly recommend contacting an expert for a car lockout service considering the likelihood of causing serious damages to your vehicle when you end up making the wrong move in trying to get your door to open. In every task we work on, our primary goal is to do it right to get outstanding results that will meet your expectations. This is how we value your time and money for seeking our assistance for your car lockout concerns. Our Mississauga Tow Truck experts will be there at your service and ready to get your car door to open, so you can reach your destination without any hassle or delay.So, if you need immediate help with a car lockout situation, please give us a call right now at 647-953-9655.